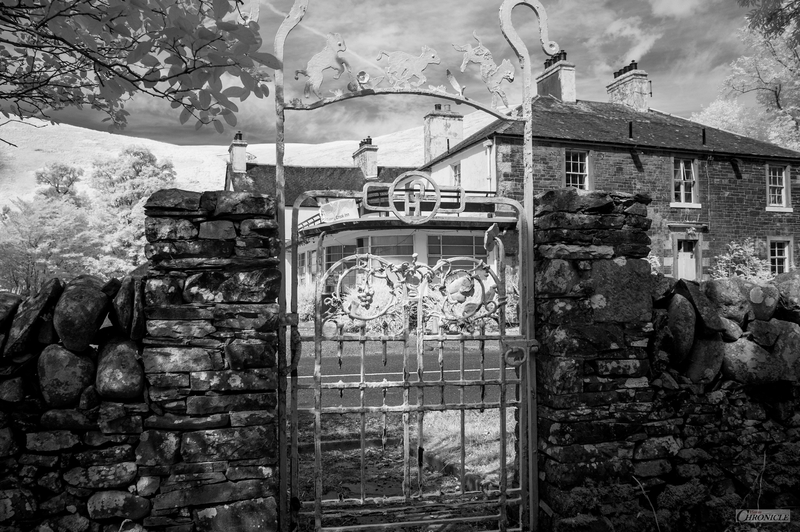 Following on from The Lambs which I posted a week ago, I want now to share these images of another part of the grounds belonging to the Crook Inn. These are not just the Crook’s treasures though; they’re mine too. The reason I say this is very simple – I have stopped here on at least four separate occasions over a good many years, to shoot the place, and never did I think to venture across the road to see what lay behind the dry-stone dyke and, the trees. Happily, I did on this occasion and, what finds lay in wait! Two segregated gardens, one presumably for long-ago guests to sit and enjoy the beautiful scenery and, the one behind that which was where I believe the hotel staff grew and tended their own vegetable produce for their kitchens in the pitted and rusty-framed, glass-less greenhouse and the land beyond. The latter garden is heavily overgrown and neglected, but still, the scenery beyond is nothing short of stunning. I am not at all religious but I can well understand why the Scots call Scotland ‘God’s Own Country’. There are fewer rural views that will stir the heart as much as they stirred mine on this day. My main aim was to make some frames in the rear-most garden. Largely this was because the smaller enclosed garden next to the roadside, aside from trees and a large granite burial stone in its centre (to, “Mungo”) was largely featureless, but also, the tall and thick trees around it prevented much direct sunlight from entering most of its area. So, I followed the light through, and further back to the more open space. Capturing in infrared only serves to accentuate the contrast and form of such scenes and, I really don’t believe that a natural light approach would have had quite such an impact, visually. As much as I have enjoyed these frames and continue to do so, I hope you will too. 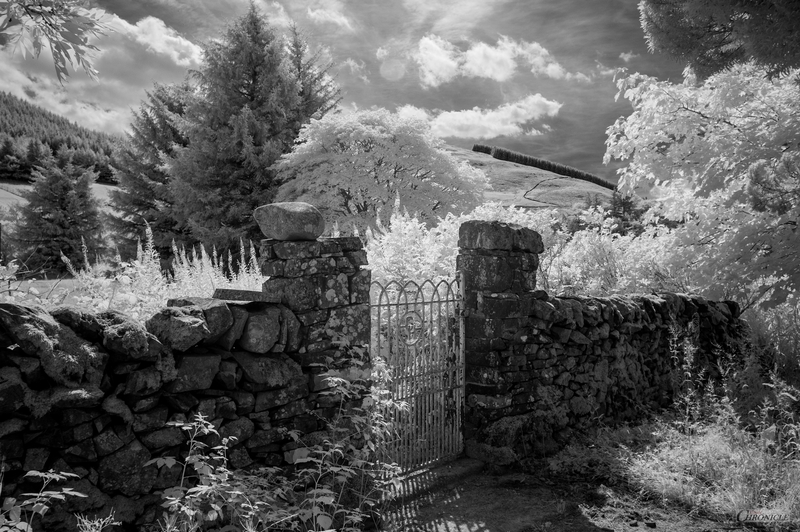 I | Inside the First Gate | 28mm – 760nm IR. 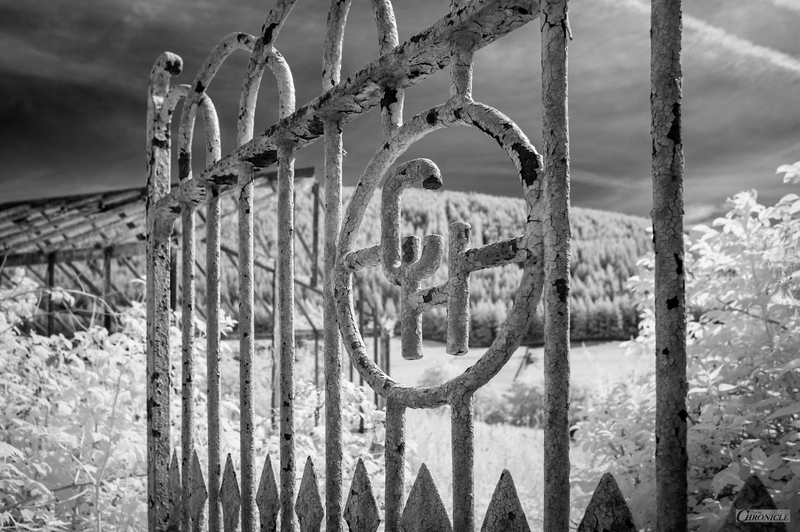 II | Thro’ the Second Gate | 28mm – 760nm IR. 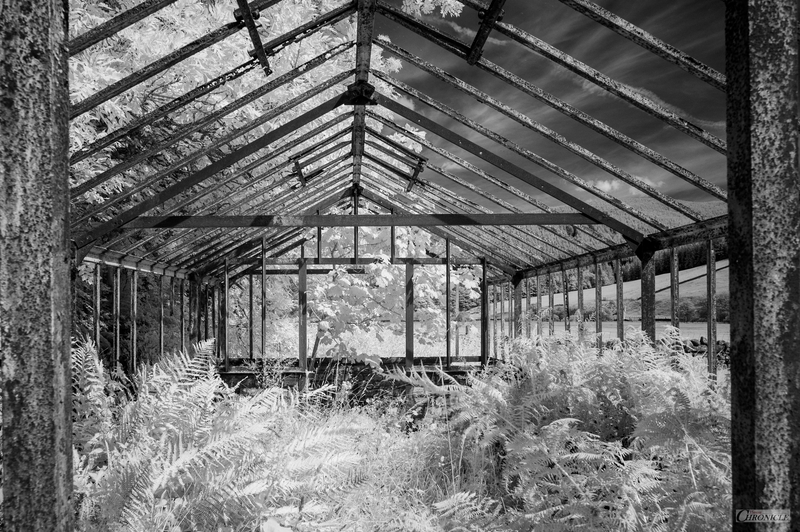 III | At the Entrance to the Old Greenhouse | 28mm – 760nm IR. 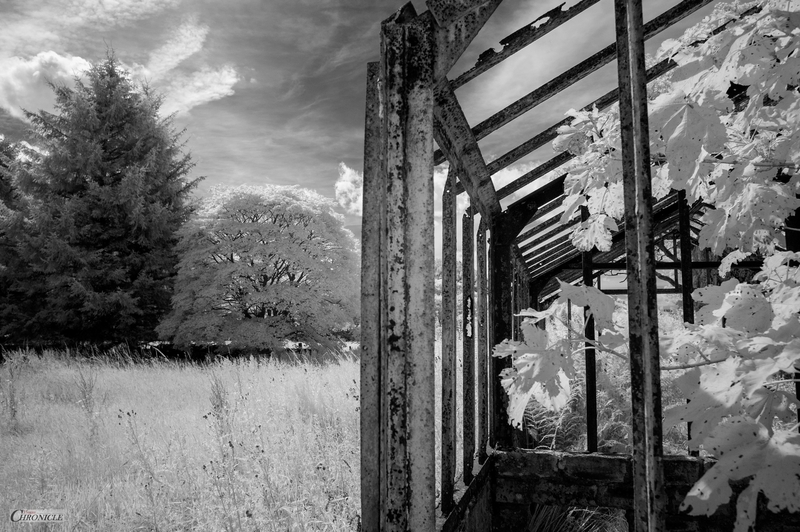 IV | Forgotten | 28mm – 760nm IR. V | Breath? What Breath? | 28mm – 760nm IR.